We see in these scriptures that JESUS was preaching the Gospel of the Kingdom. 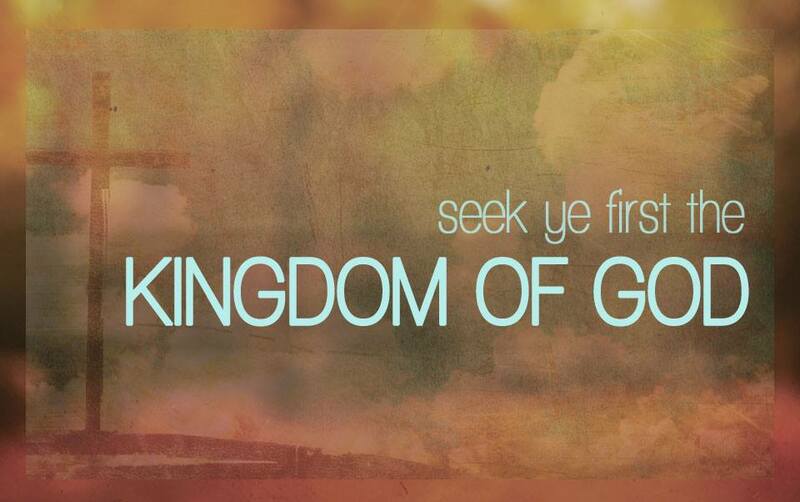 We need to understand that the Kingdom of GOD is right here on earth. If you have the Holy Ghost you have all the power that JESUS displayed here on earth. We have the ability to heal the sick, raise the dead, cast out demons, when we yield ourselves and are used by JESUS. HE is the one doing all of that. We are the earthen vessels HE is looking for. You see in those scriptures that He healed ALL sickness and ALL diseases. Not just certain ones but every single sickness and every single disease. From colds to pneumonia to cancer to cuts and broken bones. Everyone got healed. People possessed of demons were set free. Everything we know that’s in Heaven is for us right now and for every second of our lives. No suffering. No pain. No sickness. No diseases. No sadness. No depression or anxiety. We have victory over the enemy. See, satan is the ruler of this world and he’s running it and he’s doing his best to destroy it and every one in it. Satan has his kingdom here because when you look around, you’ll see all the drugs, alcohol, abortions, murders, suicides, addictions, shame, abuse, fear, and lots of sins are made to look like they help us, like it’s no big deal, everyone else does it, be politically correct. I say we need to stand strong and be Spiritually correct. That’s why we need the Holy Ghost so we can defeat anything satan throws at us. We are not under satan’s rule, we belong to the KING of kings and the LORD of lords and HIS name is JESUS. The Holy Spirit that’s given to us has a lot to do with the Kingdom. JESUS’ message for salvation when HE was among the people was to believe in HIM in order to be saved. JESUS explains to Nicodemus what is actually required, that we must be “born again.” We all gotta be born of the Water and of the Spirit to enter the Kingdom. We all come into the world first by a physical birth. In order to come into the Kingdom of GOD, we gotta have a spiritual birth. Everything JESUS did, supported everything JESUS said. This is GOD’s church so that means we are the community of the Kingdom of GOD. We need to tell people about JESUS and let the miracles happen because we serve a miracle-working GOD. As we show folks the power of the Spirit, we’ll see more coming to JESUS. We’re gonna see more people getting healed, being set free. Families will be restored. I’m claiming all of this because the Kingdom of GOD is here.